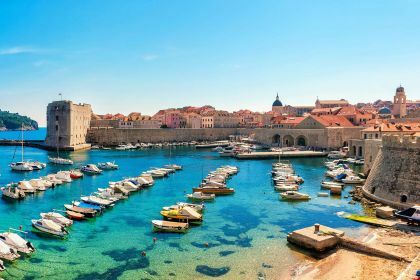 Merge this legendary beauty with a luxury yachting vacation in Croatia, and you will most certainly feel like you have had a taste of paradise. There is a wide selection of marinas in Dubrovnic: Marina ACI Dubrovnik, Marina Gruz and Yacht Club Orson marinas are all conveniently located near the historical city centre. The Rector’s Palace, Pile Gate, the starting point of any old town tour, the ancient city walls and city harbour, are all within easy reach from here. 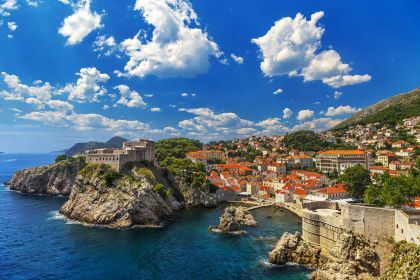 If Dubrovnic seems somewhat familiar, the reason is probably this: some of the hugely popular, award-winning television show Game of Thrones has been filmed here. 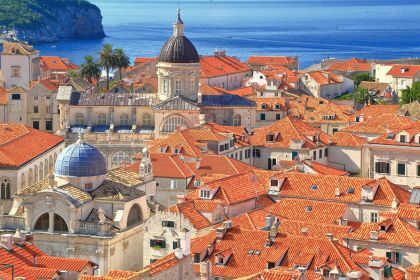 King’s Landing, the Lannister family stronghold, is, in fact, to a large extent Dubrovnik. Outer walls, fortifications and the narrow streets of the old town serve as the backdrop to many of the show’s scenes. From the north of the city walls, you will have sweeping panoramic views of Mount Srdj. If you want an aerial perspective, take a cable-car ride up or tackle the meandering walking trail. In clear weather, you’ll be rewarded with fine vistas of the islands of Lokrum and Elafiti. A treat at the trop is a meal at the Panorama restaurant, taking in majestic views towards Dubrovnik, the coast, and the endless blue of the Adriatic. For a culinary cultural immersion – a memorable dinner at a spot favoured by locals — consider Pantarul. It’s a charming, contemporary restaurant in the Lapad area, away from the busy city centre. It’s praised for its friendly service, wide selection of excellent local wines and mouth-watering traditional food made from the freshest local ingredients. Konoba Bonaca is recommended for its fresher-than-fresh farm-to-table cuisine. You’ll be greeted by intoxicating smells of the fresh bread they bake daily. Azur Dubrovnik, which merges Asian and Croatian cuisines, is known for its prawns, tuna steaks, noodle salads and meatballs. In short, it’s worth visiting Dubrovnik for the foodie experience alone. 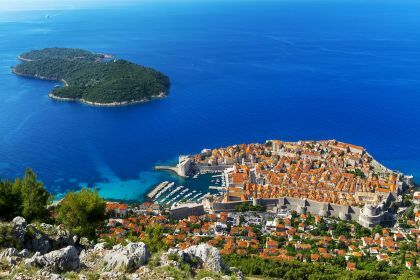 Magical as it is, Dubrovnik can be overrun with tourists and cruise-liner traffic, so if you’re after some tranquillity, flee to any one of the many nearby islands — Korčula, Lopud, Mljet or the Elafiti islands, a small archipelago consisting of several islands stretching northwest of Dubrovnik. Within just a few hours of cruising on your yacht, a whole new world will open up to you: secluded beaches, hiking trails, diving spots, and much more. Island hopping lends a whole new element of fun, adventure and access to any destination — just another reason to opt for a sailing holiday and charter a yacht for your next vacation. 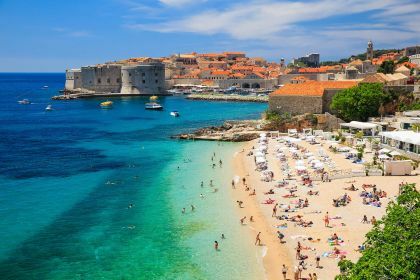 Get in touch with your Abberley charter broker here or by Skype or phone and let us help you plan the yachting vacation of your dreams in Dubrovnik and other destinations in the Adriatic.